Visit Randy's site to enjoy family photos from our 2006 Family Reunion! 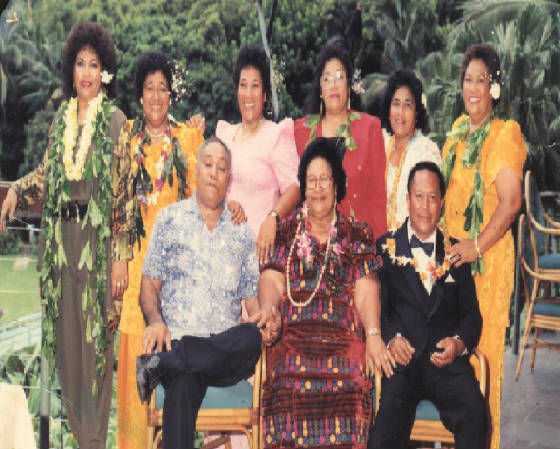 (From left to right)sitting: Ulufale, Aunty Lepaoa, Elia Sooalo, standing: Lina, Faaati, Toefoi, Ese, Sami, and Osi. Photo taken at Karen and Brad Danby's wedding reception. 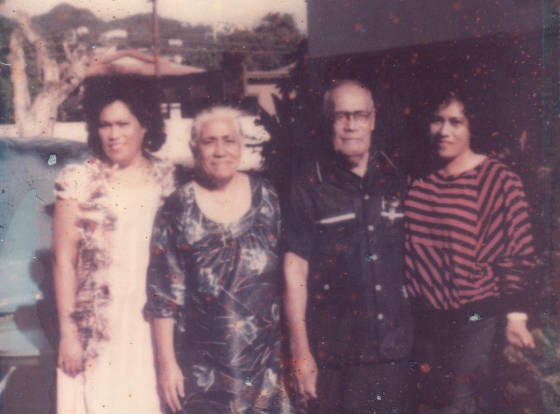 Talofa and Welcome to our family's reunion page. This is the year all have been waiting for. July 4th 2006 will be a special day when all family members, from near and far, gather together in one place to celebrate life and to share one's journey with one another to honor our ancestors and to renew/build family ties. Our parents, aunts, and uncles will nurture this special celebration lovingly to ensure a memorable and a safe event to cherish for all our lives. It is their hope that many more of these happy events encompasses our lives, their children, grand children, as we blaze the way to the future with hopes and dreams and forever more pride in our families and country. Our gathering is just around the corner, and with so much going on it's hard to stay in touch as much as we'd like. We've created this web site to help fill everyone in on our plans, and to offer information we thought might be useful to our guests. We'll post updates, as the big day gets closer. Lei greeters will welcome you with Aloha to our beautiful state.